We all worry about what will happen to our pets if something happened to us. Making sure your pet is always cared for involves many different factors, but you can get started right now making sure that your pets will be accounted for. Follow these simple steps to begin the process of creating a plan to ensure that your pet is always cared for, even after you’re gone. Choosing an arrangement for the future care of your pet is a decision that should be made based on your own personal preferences and the specific needs of your pet. There are several options to consider. Generally, informal arrangements include all arrangements for the care of a pet that are not legally enforceable. They can be oral or written agreements made with family, friends, veterinarians, dog walkers, day-care/kennel staff, animal trainers and others. They can also be made with breed rescue groups and local humane groups. These arrangements usually do not involve the assistance of an attorney. You should NOT assume that the caretakers you have chosen, including rescue organizations, will accept the responsibility of care. We strongly recommend that you speak with each individual and/or organization about this commitment in order to ensure they are willing and able to act as a potential guardian for your pet. It is best to have a few successive and/or temporary guardians in place for the future care of your pet, should the need arise. This way, if the primary guardian you’ve selected is unable to accept the responsibility at the time it arises, your pet will not be left without a home. Circumstances change, so it is always best to have a back-up plan. Since informal arrangements are generally unenforceable agreements made with family members or friends, you are relying entirely upon the integrity of the person or organization chosen. Thus, it is important to choose wisely! A direction in a will only takes effect if and when the estate is administered. This can take time, particularly if there is a conflict among beneficiaries, and the provision for the care of your pet may not be implemented until the conflict is resolved. Once your estate is closed, if for some reason your designated caregiver does not work out, the court has no responsibility to find another home for your pet. This would be an unfortunate outcome. A pet trust is a legally sanctioned arrangement providing for the care and maintenance of one or more companion animals in the event of a grantor’s disability or death. The “grantor” (also called a settlor or trustor in some states) is the person who creates the trust, which may take effect during a person’s lifetime or at death. Typically, a trustee will hold property (cash, for example) “in trust” for the benefit of the grantor’s pets. Payments to a designated caregiver(s) will be made on a regular basis. The trust, depending upon the state in which it is established, will continue for the life of the pet or 21 years, whichever occurs first. Some states allow a pet trust to continue for the life of the pet without regard to a maximum duration of 21 years. This is particularly advantageous for companion animals that have longer life expectancies than cats and dogs, such as horses and parrots. Since there is one state in which a pet trust is not valid, and other states where enforcement is discretionary, it is advisable to set up a trust with the help of an attorney who specializes in estate planning. With the exception of the state of Minnesota, a pet trust law exists in the other states and the District of Columbia. See the ASPCA’s Pet Trust State Law Chart for a full list of states with a pet trust law. If a pet trust law does not exist in your state, contact your state representatives and ask why. It may be that the subject just never came up! Because most trusts are legally enforceable arrangements, pet owners can be assured that their directions regarding their companion animal(s) will be carried out. A trust can be very specific. For example, if your cat only likes a particular brand of food or your dog looks forward to daily romps in the park, this can be specified in a trust agreement. If you want your pet to visit the veterinarian four times a year, this can also be included. 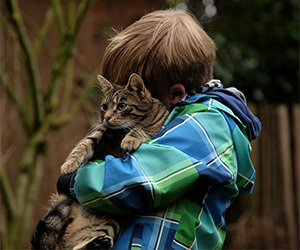 A trust that takes effect during the life of the pet owner can provide instructions for the care of the animal(s) in the event the pet owner becomes incapacitated (sick, injured, comatose, etc.) Since pet owners know the particular habits of their companion animals better than anyone else, they can describe the kind of care their pets should have and list the person(s) who would be willing to provide that care. Pet trusts can offer pet owners a great deal of flexibility and peace of mind. In the state where no pet law exists, however, or if a companion animal has a longer life expectancy, other arrangements must be considered in combination with or in lieu of a pet trust. A limited durable power of attorney can be used to designate someone to make decisions regarding the care of your pet should you become unable. This person will only have the ability to make decisions about your pet during your lifetime. Consequently, you still need to consider a permanent arrangement for your pet’s future care. A Letter of Instruction can be used to designate a future caregiver for your pet and to leave specific guidelines for your pet’s care when you are gone. It is a flexible way to arrange for the care of your pet but it, too, has limitations. For example, it does not have the same effect as other legal documents and if included as a supplement to a will, its implementation only takes effect upon actual administration of the estate. Remember that planning for long term pet care if a precaution and a process – hopefully you will never need to have made these provisions. Don’t feel you need to do everything at once. Long term pet planning is a process, one that starts with a first step.